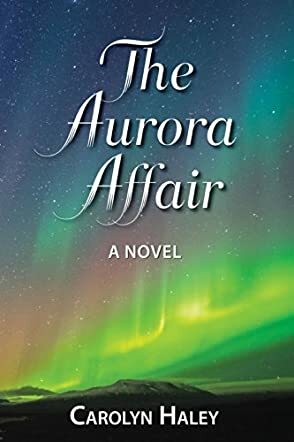 The Aurora Affair by author Carolyn Haley begins with hints of the paranormal. Madeline LaRue was on her way to answer the distress call of her identical twin sister Blanche in her 1966 Sunbeam Tiger. She is soon confronted by powers that she can only defeat if Madeline finds true love. Four men are vying for her heart - which one is her true love? She must choose carefully for the wrong decision will affect mankind. The tale begins by introducing readers to Madeline LaRue, the main character of The Aurora Affair. Ms LaRue has a sixth sense which she tries to deny. This tale begins with a bang by teasing the reader with Ms LaRue’s psychic ability and the fact that she loves to drive fast and has almost destroyed her car by the time she reaches her destination. I love the premise that only true love can prevent the darkness from befalling mankind for over a millennium. The true test of a good book is three fold. 1. Does it have an attention capturing beginning? 2. Does the middle of the book build the excitement? 3. Does the ending leave you satisfied and yet wanting a bit more? The Aurora Affair can answer yes to all three questions! Author Carolyn Haley offers readers a delightful romance that has a bit of an old fashioned feel to it. That by no means is meant to be a negative; on the contrary I find that style to be very satisfying. So with a combination of mystery, romance, and paranormal, this book promises it all and never hesitates to keep its promise.